LAS VEGAS (April 29 2014) - The state of Ohio will be well-represented on Friday, May 2, when Cincinnati's Rau'shee Warren, Jamel Herring and Javonte Clark, Toledo's Robert Easter Jr. and Cleveland's Raynell Williams make the trip to Sin City to The Joint at Hard Rock Hotel & Casino in Las Vegas as undercard bouts leading up to an exciting tripleheader featuring some of boxing's best. 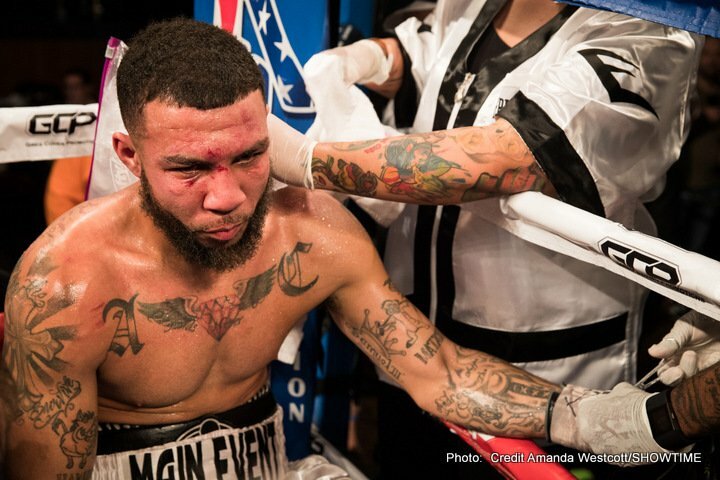 In the 10 round super welterweight main event, former World Champion Ishe "Sugar Shay" Smith faces tough Illinois contender Ryan "Dangerous" Davis. Also in action on FOX Sports 1 and FOX Deportes will be rising lightweight star Mickey "The Spirit" Bey who will meet hard-hitting Mexican veteran Alan "Explosivo" Herrera in a 10-round matchup and in the televised opener, Argentina's Jesus Cuellar squares off with former World Champion Rico Ramos in a 12-round bout for Cuellar's WBA Interim Featherweight World Title. Three-time United States Olympian Rau'shee Warren (10-0, 3 KOs) has been dazzling in his professional career, using speed, technique and ring savvy to leave his opponents unable to mount any offense against him. 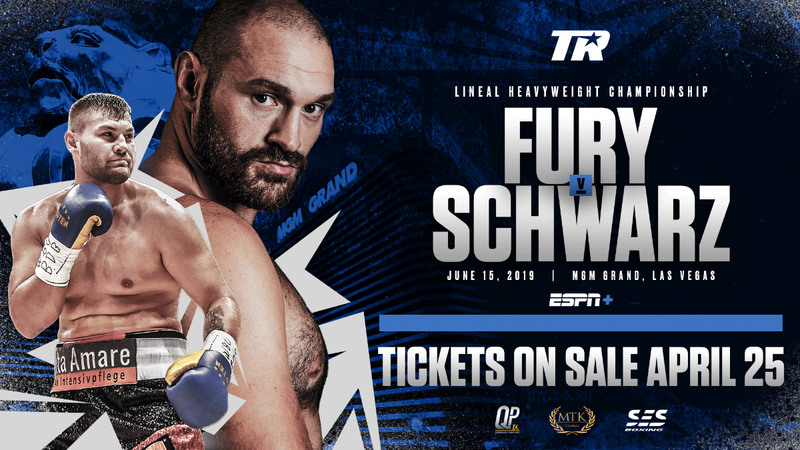 After five consecutive shutout wins, the 27-year-old bantamweight will engage in his first 10-round bout on May 2 when he faces Durango, Mexico's Martin Alvarado (7-2, 6 KOs), a hard-hitting competitor eager to score the upset win. Owner of four first-round knockouts, Robert Easter Jr. (9-0, 8 KOs) showed off his ability to go the distance in his last fight on January 25 when he shut out veteran contender Daniel Attah over eight rounds. 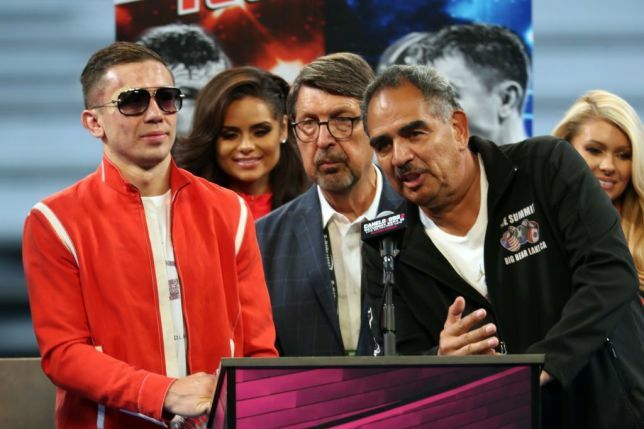 The 23-year-old will return to Las Vegas on May 2 in an eight-round lightweight bout against Carlos Cardenas (20-7-1 13 KOs)of Barinas, Venezuela. 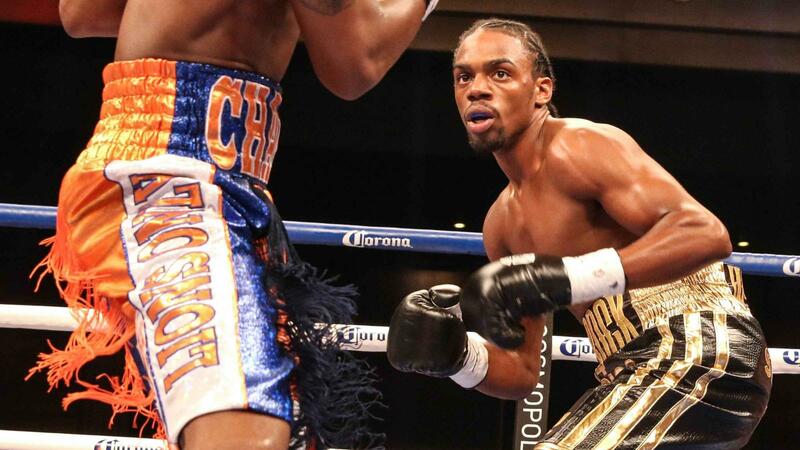 In an eight-round lightweight matchup, Warren's 2012 Olympic teammate Jamel Herring (7-0, 4 KOs) returns to action for his second bout of 2014 when he meets Peten, Guatemala native Rogelio Cazarez (6-1, 3 KOs). 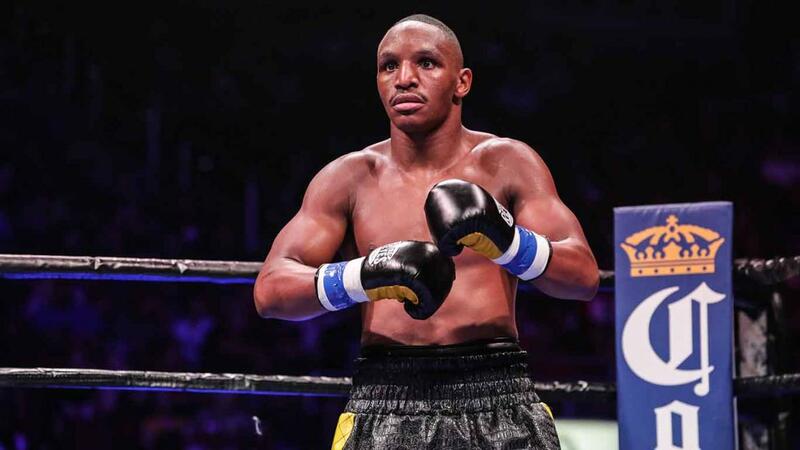 The 28-year-old Herring is coming off of back-to-back victories over Lance Williams and Antonio Sanchez and he expects to add another win to his record against the 23-year-old Cazarez, who is riding a four-fight winning streak. Rounding out this stellar card will be two four-round bouts will be Cleveland lightweight Raynell Williams (3-0, 3 KOs) faces Joshua Arocho (3-8-4, 2 KOs) of Vineland, New Jersey and Cincinnati welterweight Javonte Clark (1-0, 1 KO) takes on Mexicali's Miguel Rico (2-5-1). 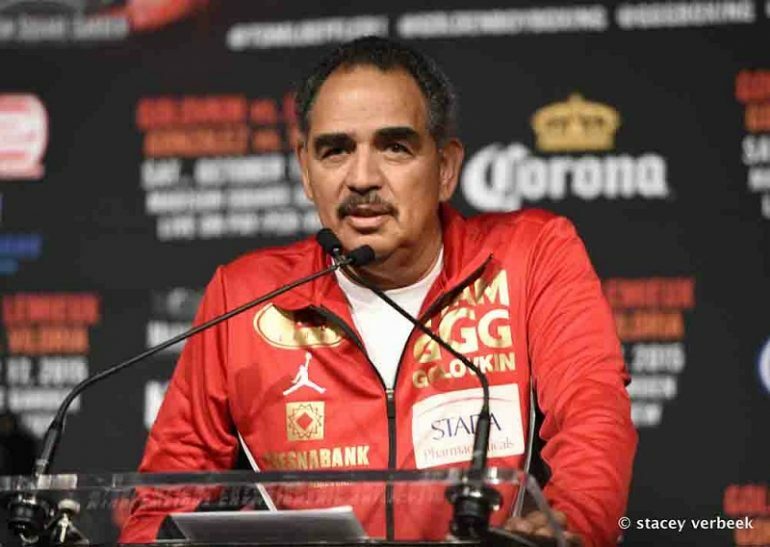 Smith vs. Davis, a 10-round super welterweight bout, is presented by Mayweather Promotions and Golden Boy Promotions and is sponsored by Corona, O'Reilly Auto Parts and GoldenRam. The Joint doors will open at 3:00 p.m. and the first fight begins at 3:15 p.m. 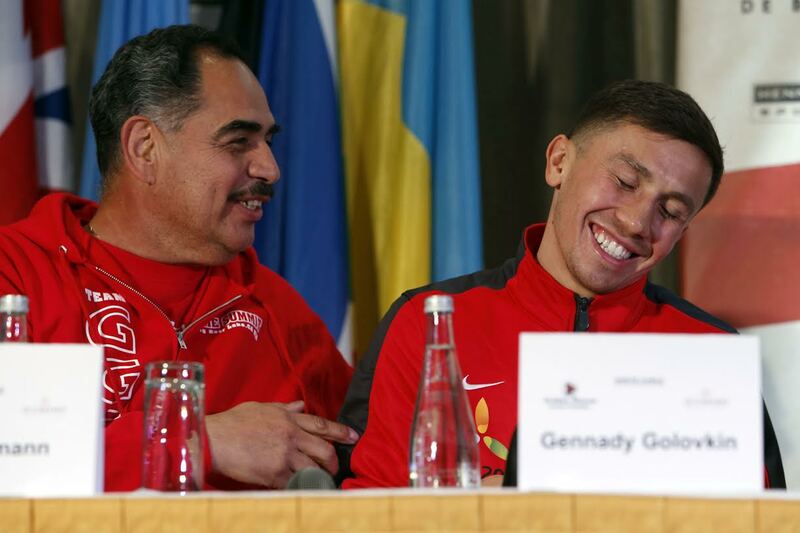 The FOX Sports 1 and FOX Deportes broadcast airs live at 10:00 p.m. ET/7:00 p.m. PT. Tickets, priced at $95, $65, $35 and $25, not including applicable service charges and taxes, are on sale now and available for purchase by visiting The Joint box office, calling 800.745.3000 or online at www.ticketmaster.com. For more information, visit www.mayweatherpromotions.com, www.goldenboypromotions.com or www.FOXSports.com/FoxSports1, become a follower on Twitter at www.twitter.com/MayweatherPromo, www.twitter.com/GoldenBoyBoxing, @ishesugarshay, @mickeybeytmt, @JesusCuellarBOX and visit on Facebook at www.facebook.com/MayweatherPromotions.com and www.facebook.com/GoldenBoyBoxing.